A Dead Sea mud treatment is a peaceful break in time, leaving you feeling relaxed and your skin silky smooth. No need to travel to Jordan desert and the Dead Sea, the lowest place on Earth, when you can enjoy a real spa day in the privacy of your own home! The Dead Sea Mud Mask for hair and scalp is a unique and innovative product which incorporates a progressive formula that includes Minerals. Natural Dead Sea Mud Mask is A exceptional Hair Mask provide nourishment to the hair & the scalp . 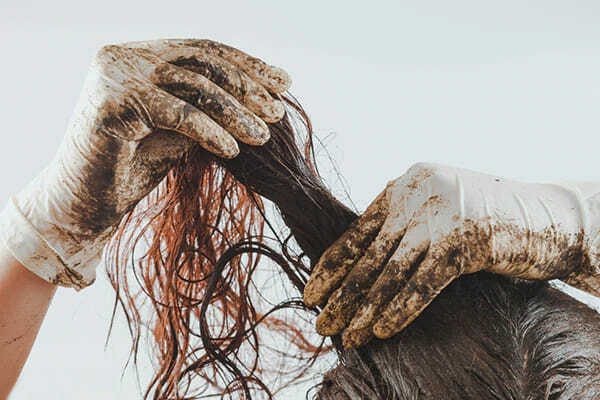 The Dead Sea Mud Hair Treatment might recover the hairs strength and shine that was damaged due to Dryness , coloring, & Pollution's, it would moisturizes the hair from root to the tip. For all hair types in Particular for damaged and dry skin.. The mask provides the hair with a complete layer for a healthy smooth look. Instructions for use: After shampooing the hair – dry the hair with a towel then massage into the hair and scalp a generous amount leave the mask on for 15- 20 minutes and then rinse out with water Only . ADD 0.14 US$ Per ​LB ​" 0.31 US$ Per 1 Kg "
​Samples : One (Test Samples 7.05 oz - 200 gm ), Is Fully Charged 180 US$ - Picking up the Samples Must be arranged by Buyer - Amount spent on Samples will be completely returned to you in case of doing business with our Company. We hope and wish to have your total understanding on this delicate matter.